There are currently 30,817 users on this website. Looking to sell some of my modest collection and I'm not sure how to describe this penny. Hi Paul, welcome to the forum. 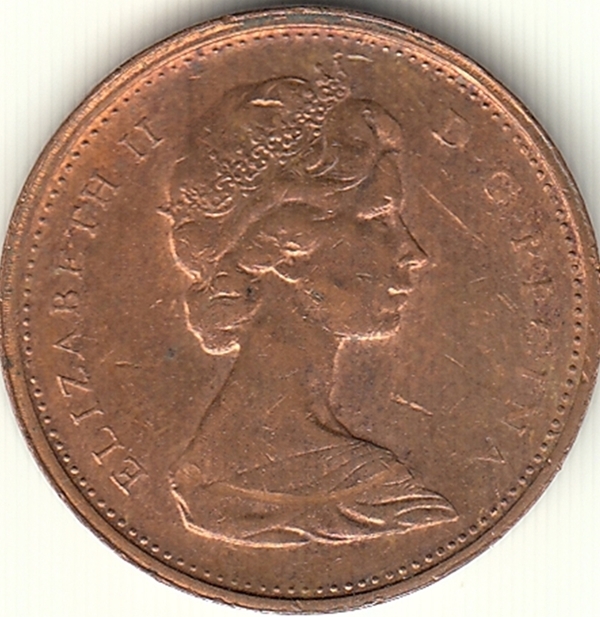 You have a 1970's Canadian Penny. 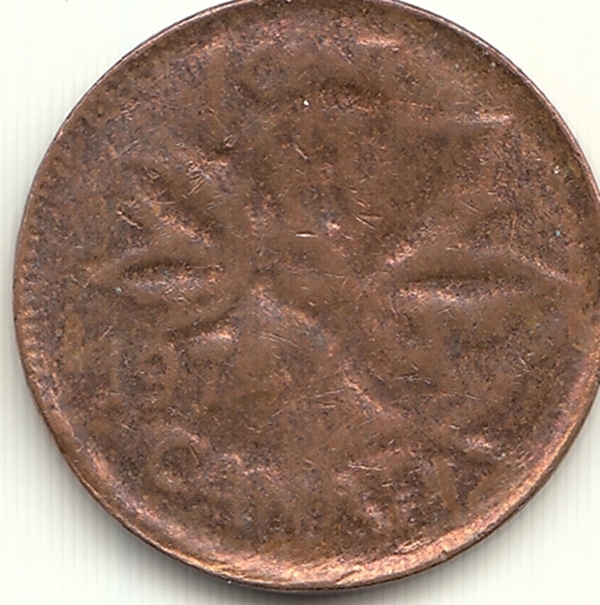 It appears to have been either struck through a lot of grease or it could be some sort of die cap strike (where there was something between your coin and the die. it also may have been a science experiment with acid being put on the one side. I am sure one of the error experts will see this and comment on it. but I will let one of our error experts decide. please post a pic of the other side. always show a full pic of both sides to get the right answers. thanks.